GolfMagic has partnered with Women & Golf in 2017, bringing you ladies equipment reviews, features, videos and more. In this equipment review, Women & Golf's Carly Frost puts Callaway's XR16 fairway wood to the test. Are you considering making the splash and buying a new fairway wood? If you need some help deciding then here's Women & Golf equipment expert, Carly Frost, who put Callaway's XR16 to the test. They Say: The women’s XR16 fairway wood is bigger, hotter, and more forgiving with a new Hyper Speed Face Cup that leads to even more speed and distance. 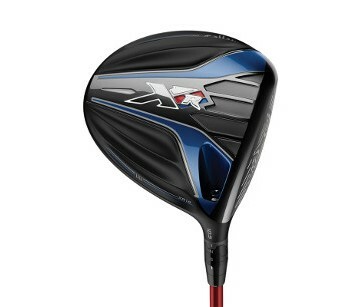 We’ve built in an awesome combination of our highest MOI, low centre of gravity and highest COR in a fairway wood. The forgiveness from our lightest crown ever allows us to move the weight where we want it. This fairway wood looks easy to hit because it IS easy to hit, and it’s highly versatile with a cambered sole for the shots that you want to play. It’s longer and has more playability from all lies. We Say: Callaway is the king when it comes to designing great woods and the XR16 certainly ticks all the right boxes. It looks easy to hit and gives a powerful ball flight that makes you want to hit it again and again. Aesthetically it’s not the most exciting wood to look at, but the feel in the hands is great, it sits well behind the ball and simply inspires confidence.